& R 122309 of the A Reuss Survey. DEFINED BY THE ZONING ORDINANCE, CITY OF UHLAND, TX. time and place all such persons shall have the right to appear and be heard. ZONING ORDINANCE CITY OF UHLAND, TX. 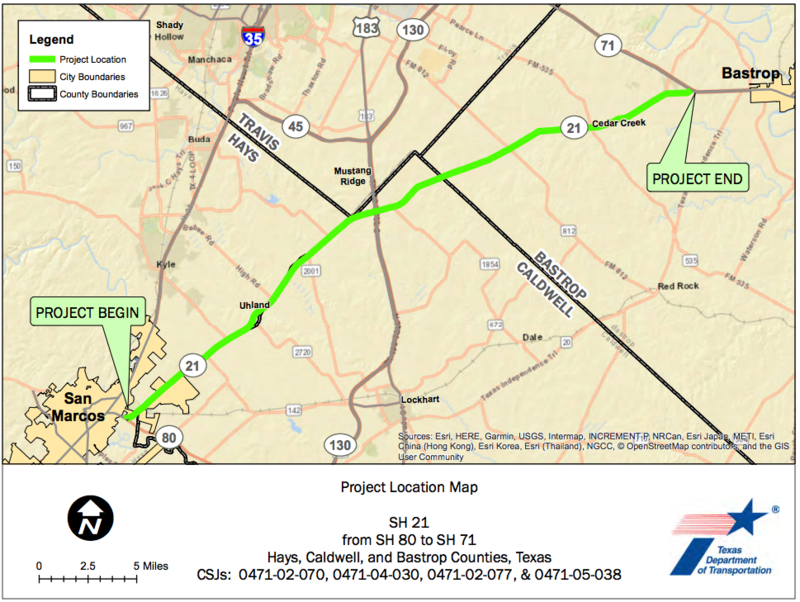 Hays County now has a webpage dedicated to sharing Kinder Morgan Permian Highway Pipeline information. Hays County Precinct 3 Office, Wimberley, TX – Precinct 3 Commissioner Lon Shell is inviting members of the public with interest in or questions about the Kinder Morgan Permian Highway Pipeline to join him at a public meeting Tuesday, January 29, 5:30-8:00 p.m., at the Wimberley Community Center. The meeting will include a panel of experts in relevant areas and a presentation by representatives who have been working with landowners in the area. Following the presentation there will be a question-and-answer session. Representatives from Kinder Morgan have been invited to attend, but are not on the agenda. Join us for an open house to discuss proposed SH 21 improvements between SH 80 to SH 71 in Hays, Caldwell, and Bastrop Counties. Team members will be on hand to answer questions and provide information. The purpose of the proposed project is to improve traffic operations and safety. 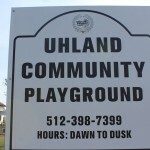 The City of Uhland is looking for community input on a variety of topics such as a comprehensive plan, zoning ordinances, and subdivision ordinances. Please contact the City office if you would be interested in serving your community and planning for the future of our City. On Saturday, September 15th, 2018, the City of Uhland will provide a bulky waste collection event. Please have your bulky waste items on the curb for collection by 7:00am on September 15, 2018. We will collect up to four (4) cubic yards of bulky items per residence. As a reference, your trash cart is almost one (1) cubic yard in size. Items may not weigh more than 40 pounds. Bundles may not be longer than four (4) feet in length or more than 40 pounds in weight. Any refrigerator, freezer, or air conditioner must have freon removed and have a tag from a certified technician that indicates freon has been removed. No flammable liquids, compressed gas tanks, gasoline, oil, diesel fuel, kerosene, chemicals, ammunition, or explosives. You must be current on your waste collection bill in order to have your bulk items picked up. Back to School Immunization Celebration! The Hays County Local Health Department and Live Oak Health Partners Community Clinic want to lessen the sting of back-to-school immunizations by providing a week of free vaccinations for eligible children. The free vaccinations will take place from August 6-10 from 8 a.m. to 5 p.m. at 401 Broadway St. in San Marcos. Children who qualify for the free vaccinations must be 18 years of age or younger, and be uninsured, underinsured, on Medicaid, or CHIP. Children covered by insurance are also welcome to attend although are not eligible for free vaccinations. On Monday, August 6 from 9 a.m. to 5 p.m., children can come by to receive their necessary immunizations and enjoy free games, snacks, and prizes from local businesses. 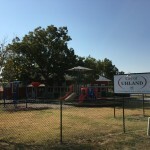 In the morning, the San Marcos Parks and Recreation Department will be providing games for children to play inside Anita Reyes Park next to the Health Department. Bring your camera – throughout the day, parents can take photos of their children with various emergency vehicles: a firetruck, ambulance and S.W.A.T. vehicle will be on the scene. They’ll even have a chance to visit the Bookmobile provided by Community Action Inc. of Central Texas. Parents will have the opportunity to gather information from the many organizations that will also be available to discuss services they provide for our community as well as get a few treats of their own. For information about the event or to check your child’s eligibility, call 512-393-5520. SAN MARCOS, TEXAS – July 23, 2018 – Hays County has launched a new program to help reduce the feral hog population after receiving a grant from Texas A&M AgriLife Extension Service, Wildlife Services to assist residents with feral hog management efforts. 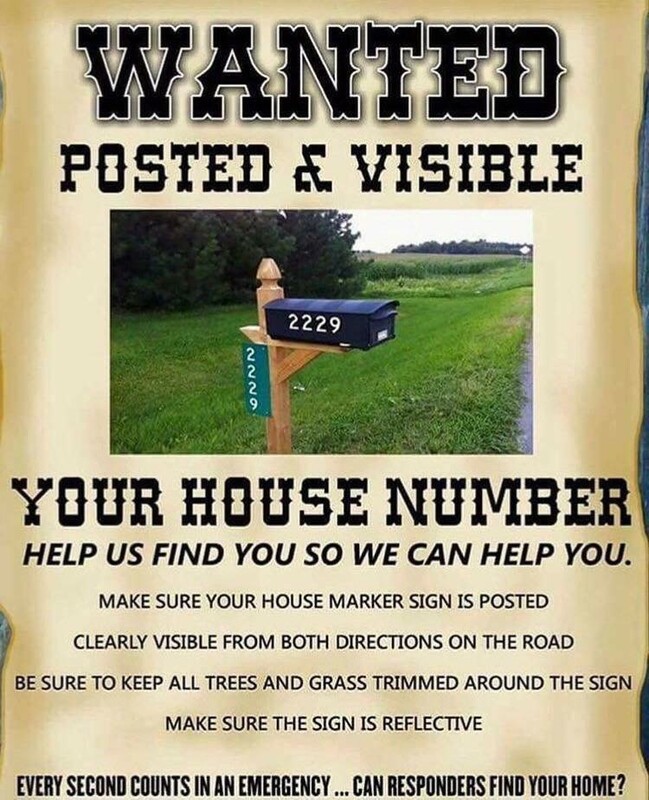 The program will include a Feral Hog Workshop and webinar, a bounty program, a countywide damage assessment and financial assistance to selected landowners who wish to trap hogs. The County has partnered with The Meadows Center for Water and the Environment at Texas State University, the Cypress Creek Project, the San Marcos Watershed Initiative, the Plum Creek Watershed Partnership, Caldwell County and Guadalupe County to assist with educational components of the program. “The 2018 feral hog program in Hays County has a great opportunity for sustained success as we have received both the funding and support to coordinate on a regional scale with projects in Caldwell County and Guadalupe County,” said Nick Dornak, Watershed Services Coordinator at The Meadows Center. Feral hogs are a problem in Texas that impact water quality in our creeks and rivers, as well as cause financial loss to agricultural production. Texas is home to an estimated 3 million feral hogs. Lacking sweat glands, hogs seek out shelter along Texas creeks and rivers, which can result in contamination of those waterways, such as Cypress Creek. Also, hog rooting and feeding behaviors impact agricultural production across the State and nation. “Feral hogs continue to pose significant problems for both agriculture producers and residential property owners in Hays County,” said Jason Mangold, Hays County Extension Agent for Agriculture and Natural Resources. The Hays County bounty program will be held on Wednesdaysbeginning July 25 and run through August 22. All tails and forms must be submitted by Wednesday, August 22. During that period, individuals can bring in feral hog tails and/or certified buying station receipts to the Hays County AgriLife Extension office, 220 Stillwater Drive Wimberley, (Wednesdays only)during regular business hours (8am-12pm and 1pm-5pm). Tailsand/or receipts must be from feral hogs harvested in Hays County. Participants will be required to complete a participation form, which can be obtained from the Hays County Extension Office or on the Central Texas Feral Hog Task Force website.The property owners name and contact information where the hogs were harvested are required on the form. The Hays County Feral Hog Workshop will be held on Wednesday, August 15 at the Dunbar Recreation Center, 801 W MLK Street San Marcos, from 12:30pm to 3:30pm for interested residents to learn about feral hog management measures. Workshop details will be posted online at http://www.feralhogtaskforce.com/calendar. 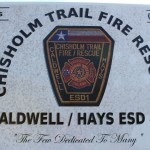 For more information, visit the project website,http://www.feralhogtaskforce.com/hays. For questions, email The Meadows Center at feralhog@txstate.edu or call 512.245.6697. The Meadows Center for Water and the Environment at Texas State University was named following a generous gift from The Meadows Foundation in August 2012. The Meadows Center inspires research, innovation and leadership that ensures clean, abundant water for the environment and all humanity, and is led by Executive Director Andrew Sansom, Ph.D.
hands immediately with soap and water. communications while near the suspicious package. Hays County Courthouse, San Marcos, TX – Hays County will close Dacy Lane at the low-water crossing near the 3800 block between Bebee Road and Windy Hill Road from March 12 through March 16. The Hays County Transportation Department will be replacing damaged crossing pipes and installing a guard rail. The work is planned for the week of spring break to avoid conflict with school bus routes. Traffic should detour by taking Bebee Road to the feeder road of I-35 to Windy Hill Road. 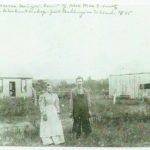 Notice is hereby given of public hearings to be held on the establishment of a moratorium on property development including the acceptance and processing of subdivision plats and site development plans for land within the City of Uhland and its extraterritorial jurisdiction; providing for enforcement, including criminal fines and civil penalties of $500 per offense. A public hearing on the proposed moratorium shall be held Thursday March 8, 2018, at 6:00 pm at 15 North Old Spanish Trail Uhland Tx,78640. A second public hearing will be held Monday March 12, 2017 at 6:00 pm. At 15 North Old Spanish Trail Uhland, Tx 78640. For more information, contact Uhland City Hall at 512-398-7399. Due to public hearing requirements the Uhland City Council Meeting has been rescheduled to March 8, 2018 at 6pm at the Uhland City Hall. Hays County Courthouse, San Marcos, TX – Hays County has lifted the burn ban on outdoor burning in the unincorporated areas of Hays County. Persons planning to burn outdoors should be aware of wind conditions and delay burning if winds are expected to be gusty or high. Fires should always be attended by an adult and a water source should be available nearby. 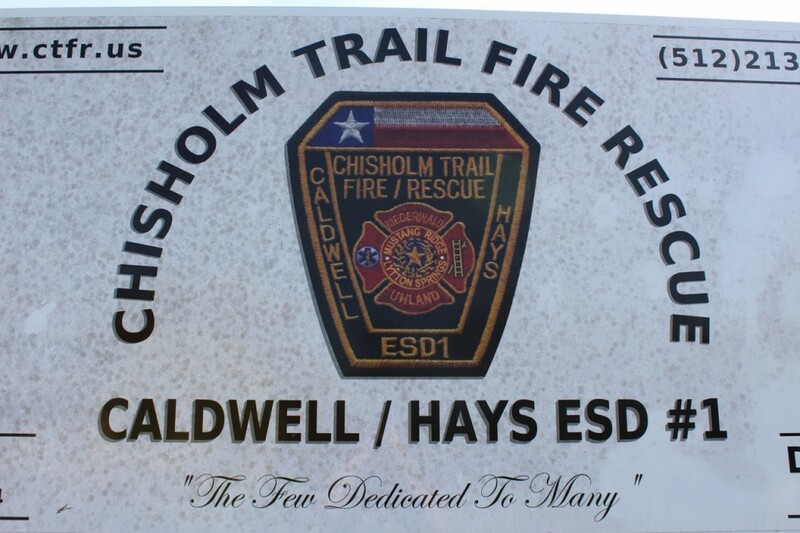 More information about outdoor burning rules and safety is available at http://www.co.hays.tx.us/fire-marshal.aspx. 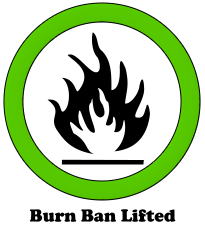 Burn Ban lifted February 21, 2018 for unincorporated areas of Caldwell County. Burn Ban lifted February 20, 2018 for unincorporated areas of Hays County. Countywide flu statistics are typically available on Wednesdays of each week, and will be reported then. Questions about the statistics, flu prevention, etc., can be directed to County Epidemiologist Eric Schneider at eric.schneider@co.hays.tx.us or 512-393-5527. FREE Flu Shots for Anyone! The Hays County Local Health Department is partnering with Live Oak Health Partners Community Clinic to provide FREE Flu shots on Tuesday, February 13th from 12pm to 6pm or until the supply of vaccines runs out. This event will take place at the Health Department located at 401 Broadway Street in San Marcos, and is open to anybody 4 years of age and older. We will also have FREE Flu vaccines that are specifically designed for anyone over the age of 65. You do not have to be a Hays County resident in order to receive a FREE Flu shot. This year’s Flu Season has been one of the worst ones Hays County has seen in years, and there are no signs that it will be stopping anytime soon. Just yesterday, the Hays County Local Health Department was notified of Hays County’s first death that was associated with complications of the flu. Since September, over 9,000 Hays County residents have visited a Health Care Provider with Flu-like symptoms and almost 2,500 of those cases had a positive Flu test. Compare this to last Flu Season when we only had 1,001 positive Flu cases from September through May. It is not too late to get your Flu shot if you haven’t received one already. The Flu shot will protect your body from most of the Flu strains that are currently afflicting our neighbors, but even if you do still get the Flu, the vaccination provides your immune system with a boost to help you recover quicker. City of Uhland shared a photo. City of Uhland shared a Severe Storms Expected Tonight across South Central Texas.